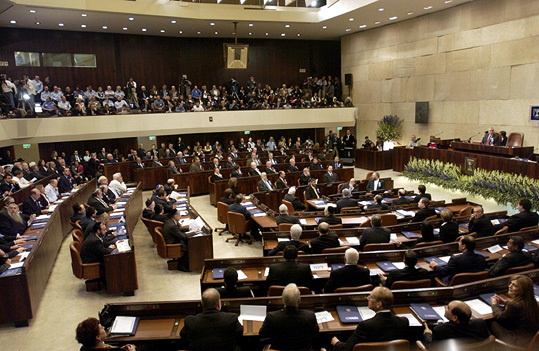 Adalah Haifa, Israel--Today, 3 August 2009, the Knesset (Israeli parliament) passed the Israel Land Administration (ILA) Law, with 61 Members of Knesset (MKs) voting in favor of the law and 45 MKs voting against it. The new land reform law is wide ranging in scope: it institutes broad land privatization; permits land exchanges between the State and the Jewish National Fund (Keren Kayemet Le-Israel) (hereinafter—“JNF”), the land of which is exclusively reserved for the Jewish people; allows lands to be allocated in accordance with "admissions committee" mechanisms and only to candidates approved by Zionist institutions working solely on behalf of the Jewish people; and grants decisive weight to JNF representatives in a new Land Authority Council, which would replace the Israel Land Administration (ILA). The new law is extremely prejudicial to the constitutional rights of Palestinian Arab citizens of Israel, and it violates the property rights of the Palestinian refugees as it contravenes international humanitarian law (IHL) applicable to them and their property. Currently, the State of Israel controls and the ILA manages 93% of the land in Israel. State-controlled properties are leased on a long-term basis to residents. The new ILA Law or the "Israel Land Reform Law" will lead to the transfer of ownership from the state to private individuals, those who have been leasing the properties, throughout certain urban, rural and agricultural areas of the state, as well as with respect to land governed by outline plans that enable the issuance of building permits. It will lead to the transfer of title to private owners in real estate properties which were expropriated by the state from the Palestinian Arab population. The law will also lead to privatization of property of some of the lands of destroyed and evacuated Arab villages, as well as many properties belonging to Palestinian refugees, which are currently controlled by the state's Custodian of Absentee Property and the Development Authority. This privatization policy will frustrate any future possibility of returning the abovementioned lands to their original Palestinian owners, in violation of their constitutional right to property and in contravention of both domestic Israeli law and IHL. Israel confiscated massive amounts of land from Palestinian citizens of the state under several laws; a principal law used was the Land Acquisition (Validation of Acts and Compensations) Law (1953). Under this law, lands in the destroyed and evacuated villages, as well as lands in the Arab villages that survived the War of 1948, were expropriated. The scope of these expropriated lands under this particular law is estimated at approximately 1.2 million dunams (around 300,000 acres). In addition, much land was expropriated under the Land Ordinance (Acquisition for Public Purposes) (1943) such as the 1976 Land Day expropriations of approximately 21,000 dunams (around 5,200 acres). For more information, please contact: Gabrielle Rubin, International Media Coordinator, Adalah gaby@adalah.org; Mobile: 052-8332430 [Adalah ("Justice" in Arabic) is an independent human rights organization and legal center. It works to promote and defend the rights of Palestinians in Israel and the Occupied Palestinian Territory (OPT).] Facts and Figures: Land 1. The Jewish National Fund (JNF) presently owns approximately 2.5 million dunams of land, about 13% of the area of the State of Israel. These lands are spread over all areas and regions of the country. 2. About two million dunams of land were transferred to the JNF by the state. This fact led to the granting of special status to the JNF in Israeli law, and to a view of the JNF as the decisive entity in land policy in Israel. 3. Over half of the Arab citizens of Israel (53%) live in the northern district, and about 13.9% live in the south. These areas have the highest concentrations of Arab citizens in the state. 4. 69% of the Arab villages and towns in Israel (excluding the mixed Arab-Jewish cities and the unrecognized villages) are located in the north. In the south, there are seven government-planned towns for the Arab Bedouin, and another 10 Arab Bedouin unrecognized villages have been recently afforded official recognition. There are 40 unrecognized villages in the Naqab, in which 80,000 Arab Bedouin citizens of Israel reside. 5. The jurisdictional areas of Arab local councils in the north constitute 12.2% of the land, whereas the Arab population in the north constitutes 53% of the entire population therein. 6. In the Beer Sheva district in the south, the jurisdictional areas of the Arab local councils, in addition to those recently recognized, is less than 1%, while the percentage of the Arab population in the area is 28.3%. 7. The Arab population in these districts is relatively young: the percentage of Arab citizens belonging to the 0-19 age group out of the total Arab population is 50%. 8. A detailed look at the northern and southern districts shows that the young Arab population (the 0-19 age-group) in the north amounts to 46.6% whereas in the south this group constitutes 66.1%. At the same time, the growth rate of the Arab population in the south is 4.4% per annum, and in the north, it is 2% per annum. 9. The ongoing policy of non-recognition of the villages has led to extremely abysmal living conditions: there is no water, no electricity, no infrastructure, no health services and no educational facilities in many of these villages. Approximately 50% of the Arab Bedouin in the Naqab (Negev) are affected by these policies. Arnon Golan, Seizure of Arab Land by Jewish Settlements in the War of Independence, Katedra: The Journal of the History and Settlement of the Land of Israel, 63, pp. 151-152; Ruth Kark, 1955, “The Emergent Shaping of Authorities, and State Land Policy in the State of Israel,” The Institute for the Study of the Use of Land, p. 177; Yif’at Holman-Gazit, 2002, “Using the Law as a Status Symbol: the JNF Law, 5715-1953, and the JNF’s Struggle to Establish its Status in the State,” Iyunei Mishpat, 26(2), p. 636. Some of these villages existed even before the establishment of the State in 1948, and some were set up pursuant to orders issued by the military governor, at the end of the 1940s and the beginning of the 1950s. The military governor then transferred these residents from their original villages to the present ones. 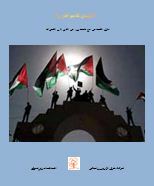 Central Bureau of Statistics (CBS) Israel Statistical Annual No. 59, 2008, Table 2.8. Ibid. Ibid., Table 2.10. Ibid. Ibid., Table 2.4. For more information: See: "Adalah position paper on behalf of the High Follow-up Committee for Arab Citizens of Israel: Critique of the Israeli government's land reform bill," Adalah Newsletter, Volume 62 (July 2009); See also: Yosef Rafiq Jabareen, “The Geo-Political and Spatial Implications of the New Israel Land Administration Law on the Palestinians,” Adalah's Newsletter, Volume 62, (July 2009). HLRN Update and Analysis of Recent Amendments to Israel Land Laws: Recent legislation in the form of the Israel Lands Authority Law, Amendment 7 (2009) and a 2010 amendment of the British Mandate-era Land Ordinance (Acquisition for Public Purposes)—1943 introduced tactical adjustments to the land tenure system in Israel. The 2009 amendment authorizes more powers of the JNF in its special status and role in land management. It also establishes the Israel Lands Authority (ILA) (no longer “Israel Lands Administration”) with increased powers, provides for the granting of private ownership of lands, and sets approval criteria for transfer of State lands and Development Authority lands to the JNF. The 2010 amendment "makes sure" that lands expropriated for "public use" do not "revert" to original owners and can be transferred to a third party (likely the JNF). The 2010 legislation also circumvents the Israeli Supreme Court’s precedent-setting judgment in the 2001 Karsik case, which obliged authorities to return confiscated land in the event it has not been used for the purpose for which it was confiscated. According to the amendments, the JNF will continue to hold large representation in the Israel Lands Authority with six of 13 members (which also can function with just ten members). That ensures JNF’s continued key role in the development of policies and programs affecting 93% of lands in Israel. The amendments allow the state and the JNF to exchange lands, in order to facilitate “development” through the privatization of lands owned by the JNF in urban areas. Such a swap would have the state to receive JNF land in urban areas that could be privatized, while the JNF would receive 50–60,000 dunams of land in the Galilee and the Naqab. As in the past, the JNF agrees that the new Israel Land Authority will manage its lands, whereas ILA is committed to do so consistent with “the principles of the JNF in regards to its lands” (Article 2). In addition, the JNF has committed to contribute 100 million NIS to further development of the Naqab from its own sources. The amendments enable further circumvention of legal oversight and legislate against the right to equality in land use. As the JNF’s charter excludes non-Jews from benefiting from its land or services, any such transfer of public land to the JNF prevent citizens’ equal access to land. In other words, the state will be able to “Judaize” more land and discriminate against its non-Jewish citizens in the Naqab and Galilee—and elsewhere—by transferring these lands to the JNF. The new 2010 law appears to prevent—or severely impede—Palestinian citizens of Israel from reclaiming their confiscated land. It forecloses a citizen’s right to demand the return of the confiscated land in the event it has not been used for the public purpose for which it was originally confiscated, if that ownership has been transferred to a third party, or if more than 25 years have passed since its confiscation. Over 25 years have passed since the confiscation of the vast majority of Palestinian land, and the ownership of large tracts of land has been transferred to third parties, including Zionist institutions such as the Jewish National Fund. The ILA rationalizes its policy of restricting bids for JNF-owned lands to Jews only by citing the Covenant between the state and the JNF (1961). Under that agreement, the ILA is obliged to respect the objectives of the JNF, which include the acquisition of land "for the purpose of settling Jews." Thus, JNF serves as the state’s subcontractor for discrimination on the basis of nationality.